Lahore: Ousted prime minister Nawaz Sharif will return to Pakistan on Monday to face corruption and money laundering cases against him in the accountability court. Sharif had gone to London to see his ailing wife who underwent three throat cancer surgeries. Sharif, 67, was disqualified by the Supreme Court on 28 July in the Panama Papers case. His wife Begum Kulsoom is contesting on Lahore's NA-120 seat that fell vacant in the wake of his disqualification. The news of Sharif's return came amid rumours that he may not come back as he is facing corruption and money laundering cases. 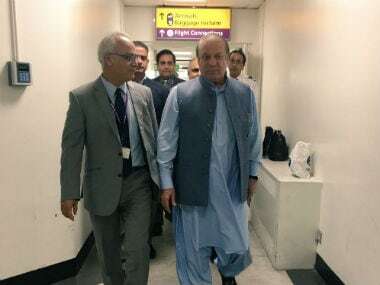 "Nawaz Sharif is traveling back home tomorrow (Monday) on a PIA (Pakistan International Airlines) flight and will face National Accountability Bureau (NAB) references in the accountability court Islamabad on Tuesday," PML-N Senator Mashidullah Khan said. He said Finance Minister Ishaq Dar is also returning tomorrow and he too will face a NAB reference against him. 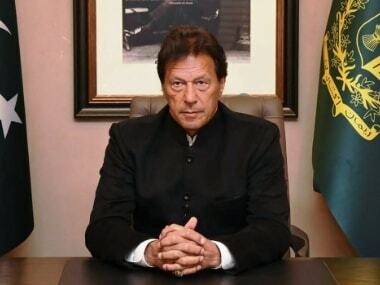 The former premier had taken the decision to return to the country reportedly after consulting his younger brother Punjab chief minister Shahbaz Sharif in London. Sharif's flight PK-786 is scheduled to land in Islamabad at 8 am on Monday. On 22 September, Pakistan's anti-graft body (NAB) froze the bank accounts and seized properties of Sharif and his family members. The Accountability Court in Islamabad has summoned Sharif, his daughter Maryam Nawaz and son-in-law Muhammad Safdar Awan on Tuesday. The National Accountability Bureau (NAB) on Sunday displayed the summons and property attachment notices on Sharif's Lahore Jati Umra Raiwind residence. The NAB has written to the State Bank of Pakistan (SBP) and commercial banks requesting them that since Mr Sharif and his children and son-in-law Safdar are facing the NAB references their bank accounts be frozen. The NAB has also written to the commissioner Islamabad, deputy commissioner Lahore, federal board of revenue, excise and tax department and the chairman security exchange commission of Pakistan regarding attaching (seizing) of the properties of the Sharif family. The NAB has already frozen the properties of Finance Minister Ishaq in income beyond his known sources case and the accountability court has issued his bailable arrest warrants. Dar is also in London at present. 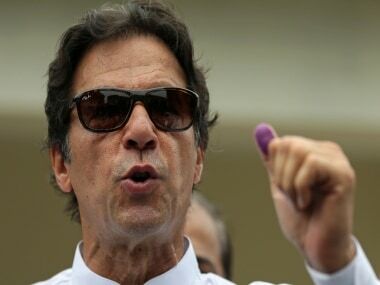 NAB has filed three references of corruption and money laundering against Nawaz Sharif and his children – Hassan, Hussain and Maryam – son-in-law Captain Mohammad Safdar and one against Finance Minister Ishaq Dar in the accountability court Islamabad and Rawalpindi recently. The references are filed in connection with the investigation of offshore properties of the Sharif family members. Sharif was disqualified by the Supreme Court on July 28 in the Panama Papers case. His wife Begum Kulsoom contested on Lahore’s NA-120 seat that fell vacant in the wake of his disqualification and won on 17 September.